Non-EDI users have an uphill climb with a lot of training if they hope to set up EDI for themselves. With minimal documentation, users may find it difficult to set up and configure their Vantage system and eVision for EDI. Users may not know how to set up their EDI system for automated EDI and email notification. Users are spending too much time monitoring their EDI system. Users do not understand EDI formats and do not know how to set up "maps" in eVision. The EDI Guys can walk you through the sometimes confusing configuration screens to set up EDI within your Vantage system including Service Connect configurations, Customer Demand and Document setup, Customer Ship-to and Customer part cross-reference tables, and Demand Contract configurations. The EDI Guys have many years of experience setting up EDI maps in eVision (and other EDI translators). We can set up mapping for your first one or two key EDI partners. You can use these maps as templates for future partners down the road. EVision and Service Connect can be set up to send email notifications to key users to notify them of important events - like when an error has occurred during an import. We can provide you with documentation we have developed through experience on other implementations. And we can provide hands-on training using your real-life data and environment. We can set up the necessary communications system using traditional VAN communications or AS2 direct to your important EDI partners and configure hands-off operations. We can set up batch invoicing for your EDI partners to streamline EDI invoicing. We can provide on-call support for a period of time as you get used to your new EDI system. A Vantage EDI system that has been set up correctly right from the start. Ability to receive and send EDI transactions with virtually unattended import and export operations. 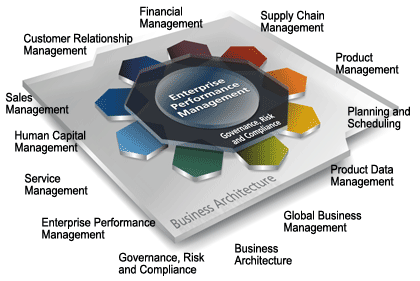 Ability to run your business without having to spend a lot of time running EDI. Users are notified of EDI activity via email. Dependable, unattended EDI system with responsive technical support. See the following Aberdeen Group "Technology Insights" links on the importance of workflow automation and event management. Let the EDI Guys help you set up your EDI system and your first couple of trading partners. With our experience, we can show you how to set the system up correctly right from the start. And, should you need technical assistance at some future time, the EDI Guys are always available to help.